The Latvian National Armed Forces say they have spotted two Russian military vessels and a submarine near to the Latvian border. The ships and the submarine were allegedly detected in the Latvian exclusive economic zone, just eight kilometers from Latvia’s border. Armed Forces on 3 MAY in LV EEZ 5,2 nmi from territ. waters spotted RU Kilo-class sub, Ropucha-class landing ship, Parchim-class corvette. The Latvian National Armed Forces say they recognized the vessels: a Project 775 class landing ship, a Parchim class corvette (Project 1331M in Russia), and a Project 877 Paltus diesel-electric submarine. Additionally, a heavy military transport aircraft, an Antonov An-22, has also been detected flying near the frontier, the Latvian Army said. Earlier this year, similar reports emerged. In April, a Russian vessel and a submarine were allegedly spotted near Latvia’s territorial waters, and in March, Latvia said a Russian ship and two submarines had approached the country’s naval border. 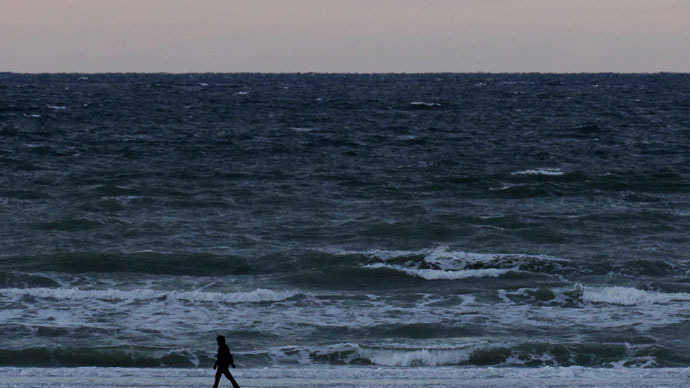 Latvia says its National Armed Forces have detected Russian vessels 42 times this year alone. In 2014, Russian military ships and planes approached the Latvian border about 250 times, it said. Maneuvers in Latvia’s exclusive economic zone, which is not in the country’s territorial waters, do violate international regulations. However, Latvian authorities have frequently expressed their concern over the presence of Russian vessels near its frontier. Previously, Moscow neither officially confirmed nor denied its movements in the area, but stated that the maneuvers were part of drills and tests of the technological capability of its equipment.